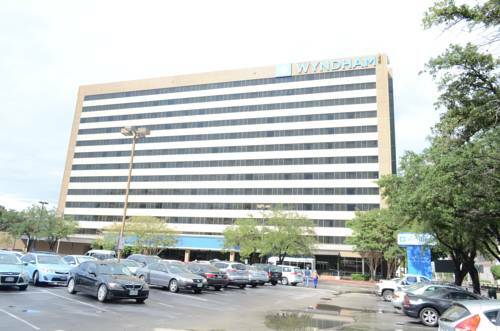 Enjoy an urban oasis of comfort and convenience just minutes from world-class medical centers at this Wyndham Houston/Medical Center Hotel and Suites. This full-service hotel is also close to Space Center Houston, the Johnson Space Center and several major universities, and just two blocks from the METRO rail. Enjoy a swim no matter what the weather with the seasonal outdoor pool and indoor pool. Stretch road-weary muscles in the fitness center, and stay connected to colleagues and loved ones with the complimentary wireless Internet and in the business center. A complimentary shuttle connects you to local destinations. Small meeting space is available for parties up to 10, and a sunny onsite restaurant serves breakfast and dinner, with room service available all day. Most rooms at this hotel are suites, and offer full kitchens with microwave, stovetop, refrigerator, dishwasher and dining area with chairs, perfect for extended stays.